Pampered Pets uses an appointment system to ensure that your pet's grooming needs are met. We require a minimum of 2 - 3 working days for advance booking. We try our utmost to book when you require, however during busy periods this cannot be guaranteed. 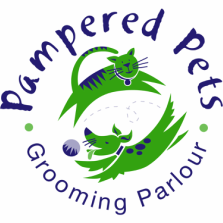 Please note Pampered Pets is open Monday - Friday from 7:30 - 18:30, however we require your pets to be dropped off at our premises by latest 10:00, with the last pets being groomed at 13:00. We offer a collection and delivery service at a small additional charge. Please arrange for this service when making your booking. If you have a dog or cat which stresses or is uncooperative when groomed, we advise a light sedation which can be administered by one of our qualified veterinarians. We recommend that you do not feed your pet the morning your pet comes in for grooming if sedation is necessary.